Collect information with the help of Evernote everywhere — on team meetings, business trips or at lunch. 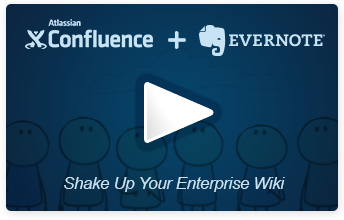 And then transfer it to your enterprise Confluence wiki. Your Confluence wiki is awesome place to collect useful information. But it is hard to add new information to Confluence when you are on-the-go. But mobile Evernote applications are a very handy way to collect information everytime and everywhere. Data will be copied from Evernote, so you can edit them after insertion. Your workmates don't need to have access to your original note or to have Evernote account at all.  Pictures, audio and video are inserted as appropriate Confluence macros. Using this plugin for Confluence you can easily insert all collected data from Evernote to any Confluence page. Click Insert — Evernote while editing page. Click Create button and select Evernote (Confluence 5.0+ only). For the first time you will be prompted to login into Evernote and grant access to your notes for this plugin. Warning: the plugin will not change your notes or create new in any way. But it needs full access to your evernote account to show list of your recent notes. Your notes can contain variety of different resources types: pictures, audio, video, pdf-files, etc. The plugin can deal with some types of resources and convert them to appropriate macro. (JPEG, GIF, PNG) will be attached to the page and inserted in the text. will be attached to the page and placed as Multimedia-macro in the text. (MPEG, MP4, MOV) will be attached to the page and placed as Multimedia-macro in the text. (PDF, Word, Excel, PowerPoint) — will be attached to the page and placed as corresponding macro in the text.